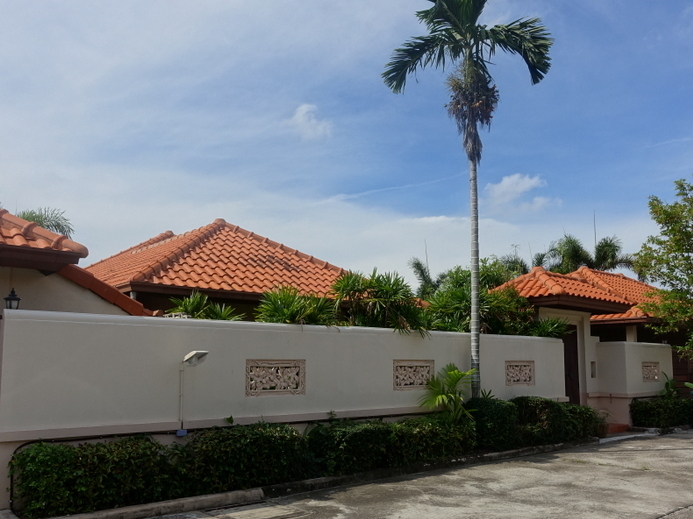 This Bali style inspired villa is located in one of the nicest villages in the Pattaya area. There are 3 generous bedrooms plus a complete studio flat with an additional kitchen for guests preferring to be apart from the main house. 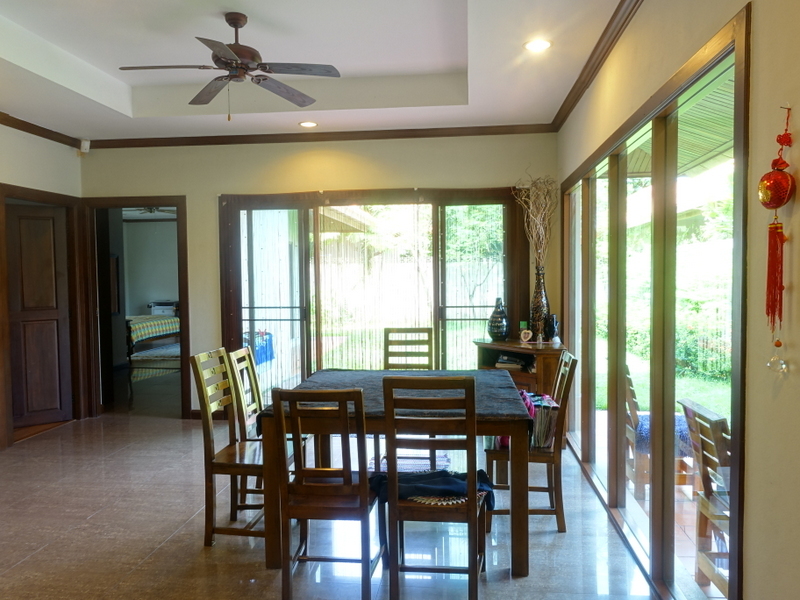 The living-area is generously spacious and combined with the dining area. 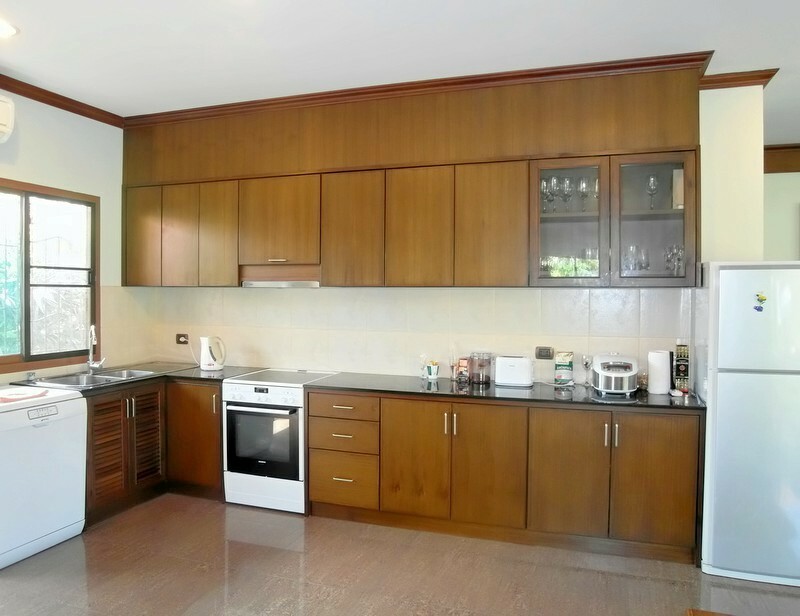 The generous L-shaped western kitchen offers Siemens appliances, a dishwasher, granite worktops and plenty of storage. 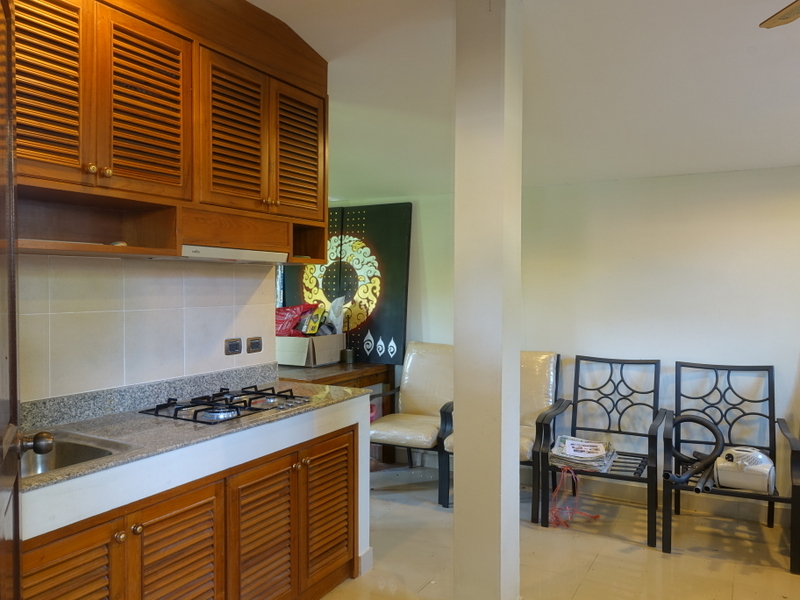 All the rooms are friendly, adorned with charming wood features. 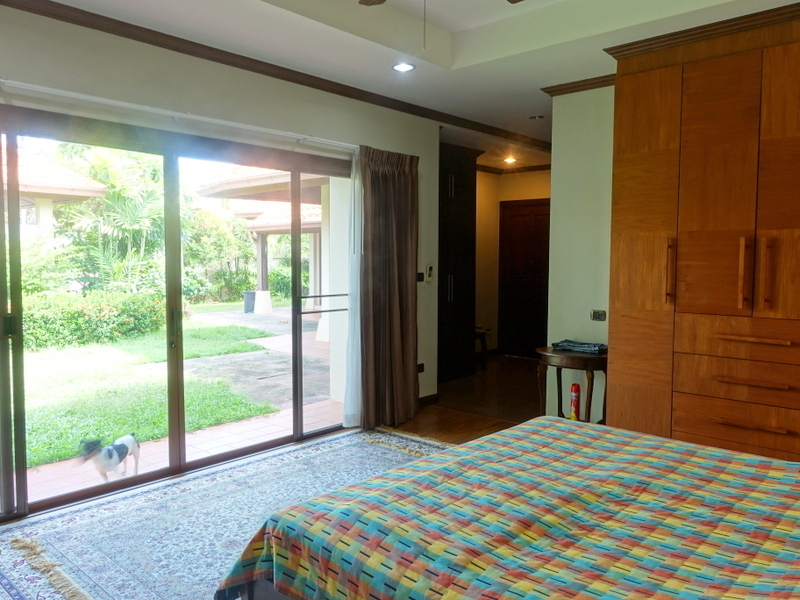 The living-, dining- and bedrooms offer wide glass sliding doors with views out to the generous juicy garden. The materials and construction is of good quality. Most of the furniture including flat-screen TVs, comes with the property. The built-in wardrobes made by a top carpenter are of massive wood. There are expensive curtains all over the house. 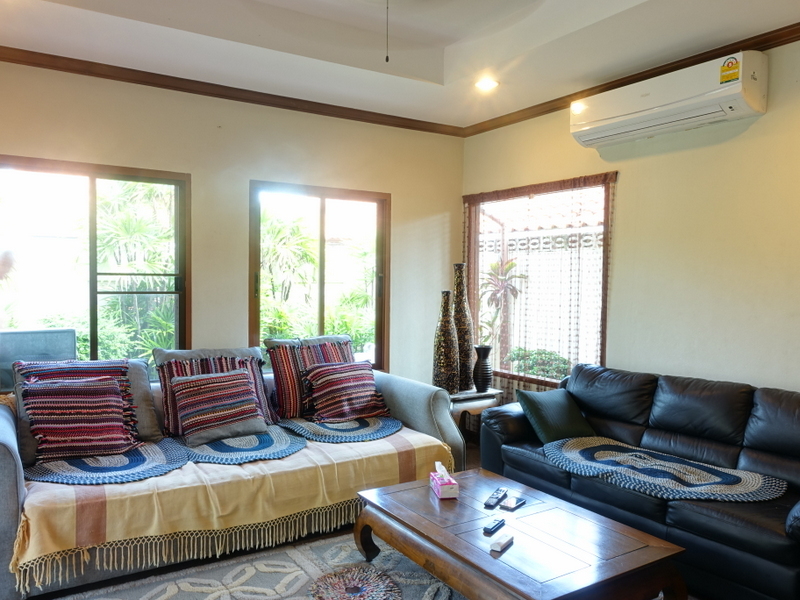 The property offers ADSL-Internet, 5 air conditioners (Daikin) plus ceiling-fans. There are rain gutters throughout and there is a proper drainage system. The roof is insulated and ventilated, providing a pleasantly cool climate. There is a covered terrace as well. The villa offers full privacy. There is a covered carport for two cars, well separated from the house. The garden is watered by an automatic sprinkler system and it offers sufficient space to build a pool if required. However, there is a great communal pool nearby. A great place to live. 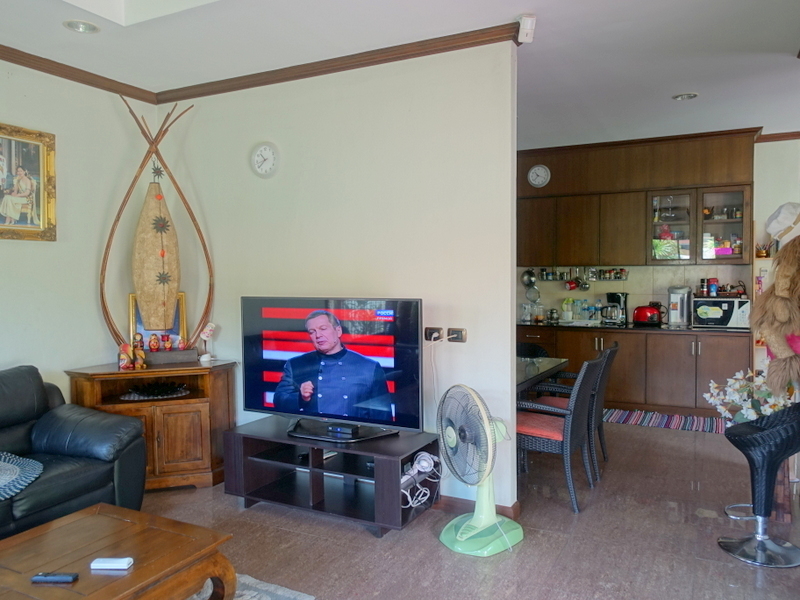 Less than 1 kilometer to Sukhumvit road and just 10 minutes to Tesco Lotus and Big C Shopping centers, this villa is just a few stone throws off the main road that has no traffic congestion. The pleasure of countryside living with all attractions nearby. 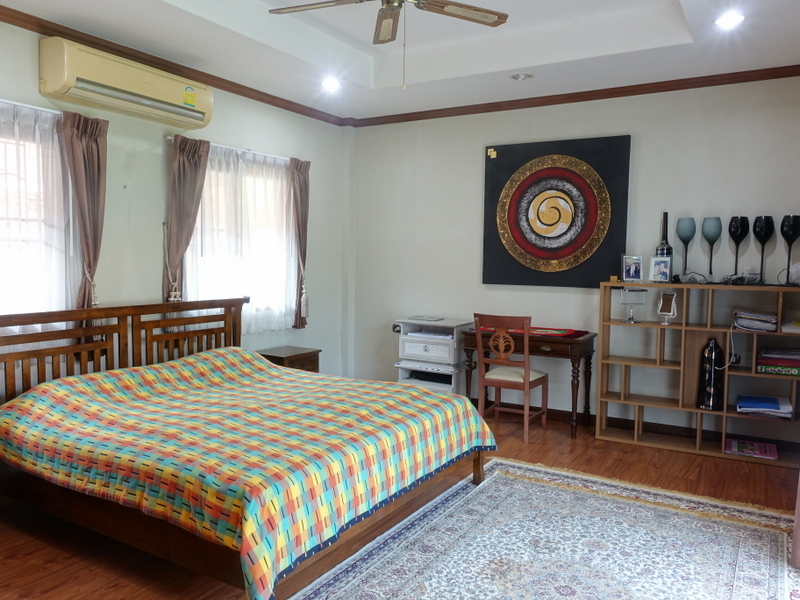 The nice beaches of Na-Jomtien and Baan Ampur are just a few minutes away. 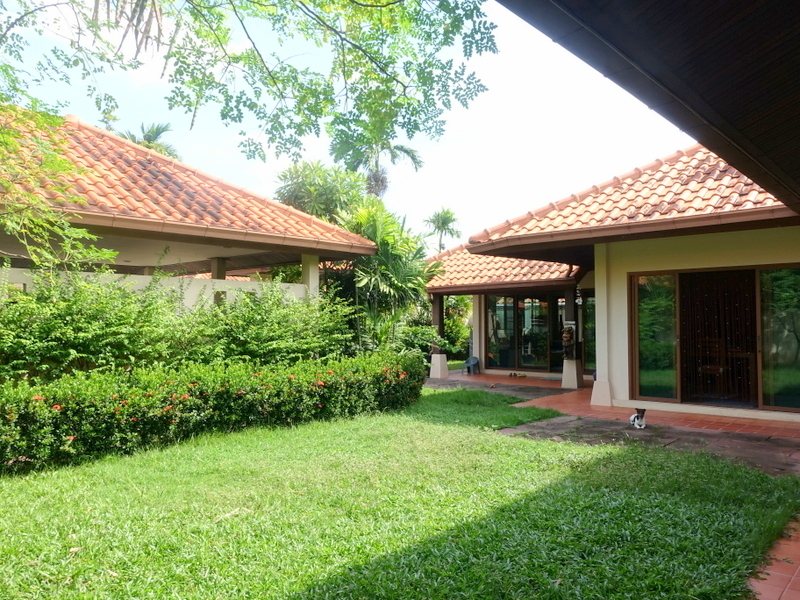 This villa is located in a secure, quiet and well cared village on the outskirts of Pattaya. There are lots of trees and plants, the cables are all underground and the roads wide and in good condition. There is no construction within the village and it offers a large communal pool, a gym, clubhouse and 24hrs security. 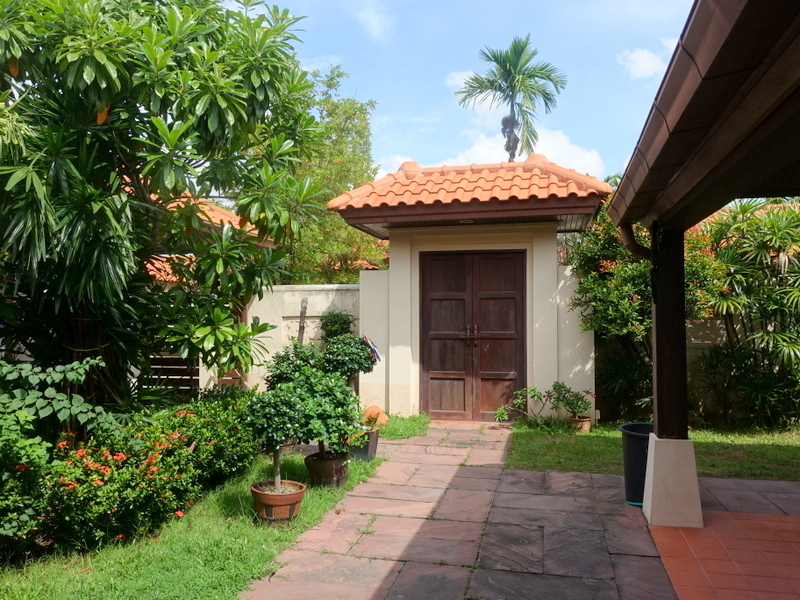 The property is registered on a Thai persons name.